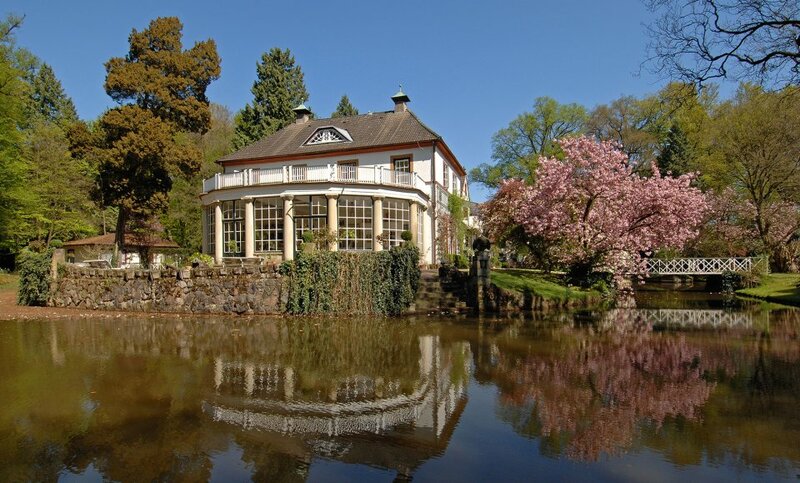 In the second half of the 18th century, Oberneuland was discovered as a retreat destination and quite a few citizens of means built magnificent summer houses and stately homes there. Even today, these houses permeate the neighbourhood along with newer, but also impressive, single family homes. At the same time, the number of old farmhouses and active farms illustrates that Oberneuland is an area marked by farming. 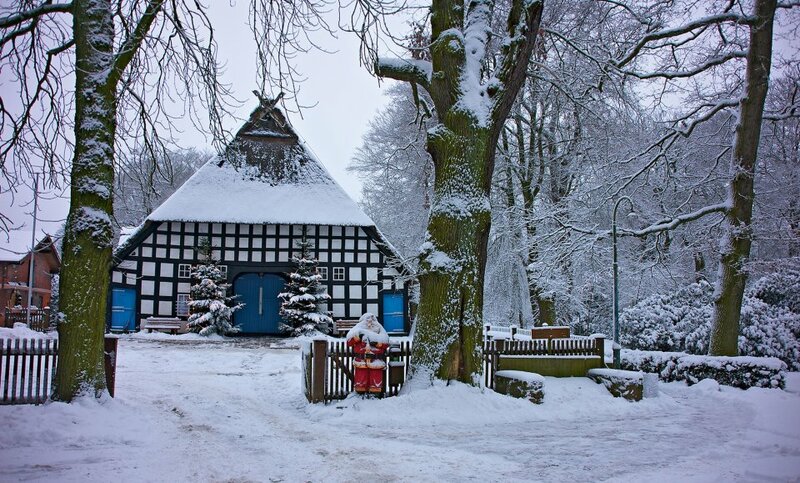 The rather quiet and contemplative Oberneuland is undoubtedly one of the greenest neighbourhoods in Bremen. Numerous parks that once belonged to enormous mansions are now open to the public and draw visitors from all around the city. No wonder that Oberneuland is one of the most exclusive areas to live in, desirable for families and well-off Bremen residents. The prices for parcels of land here are - as to be expected - high, but the rental prices are on par with the Bremen average. The Franz-Schütte-Alle is one of the main streets which lead into and out of Oberneuland and happens to be a real looker: The branches of stately trees create a bridge over the street, impressive at any time of the year. The avenue gets a special splash of colour at the beginning of spring. 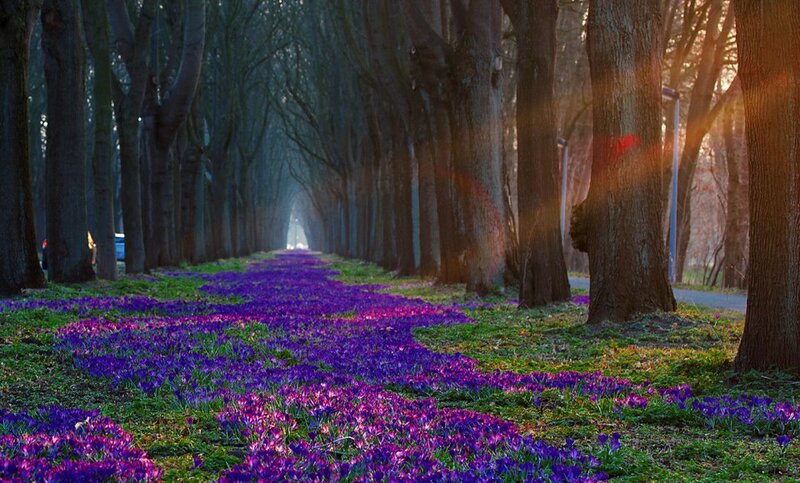 That’s when a million crocuses bloom, forming a blue carpet which runs the length of the street. Since 2002, an increasing number of amateur gardeners in and around Oberneuland can be spotted tending lovingly to their pumpkins. With plenty of TLC, little plants can be grown into giants. 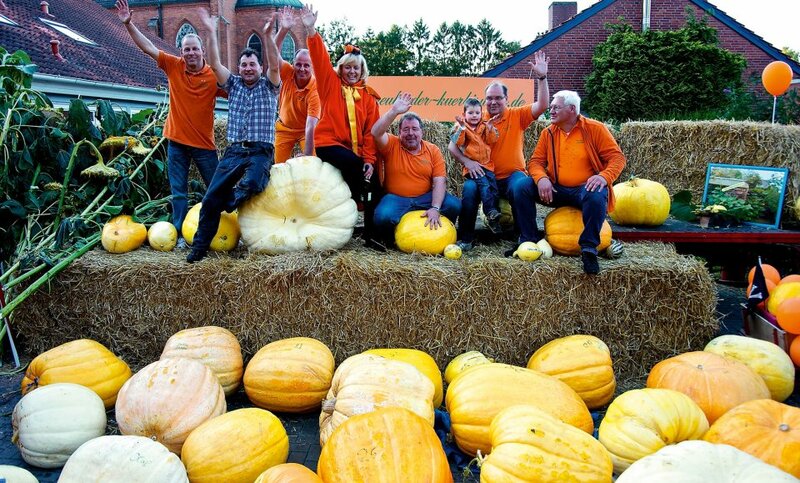 The goal: to weigh-in with the largest gourd at the yearly Oberneuland Pumpkin Competition - and bring the trophy home! And while competitors hold-up around the weigh station, the other residents and visitors enjoy a festival with a full programme. 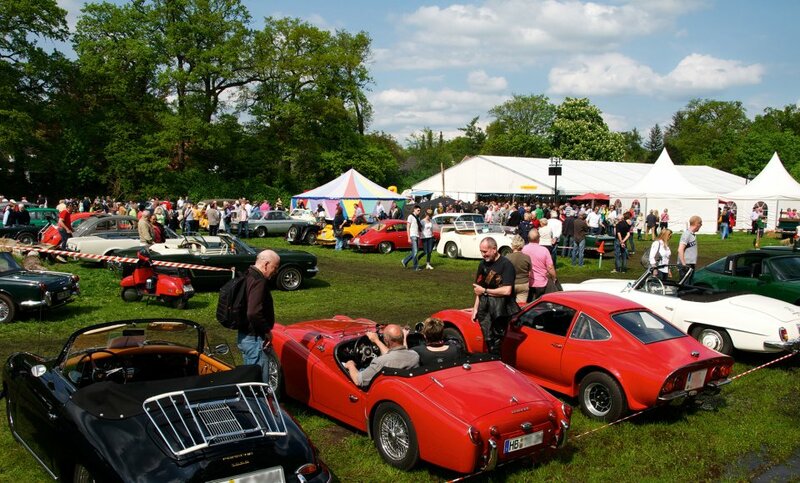 Every two years, Oberneuland is awash with auto bodies worth checking out: In spring the Oldtimer-Erlebnis drivers host a rally in the neighbourhood and organise a festival on the grounds of the "Oberneulander Eiche". There’s live music, culinary delights, and activities for kids to enjoy, classic car models for you to inspect, and even watch going around an obstacle course. 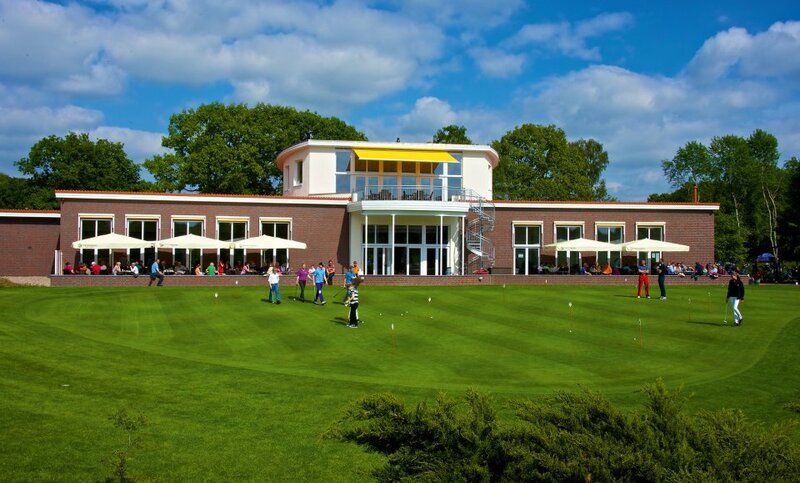 Only 15 minutes away from the centre of Bremen, lies the Golfclub Oberneuland facility. Designed in the style of a landscape park, this 48-hectare metre large, 18-hole course - with its six ponds, fairway bunkers, and oak groves - allows you to improve your handicap at any time of the year. 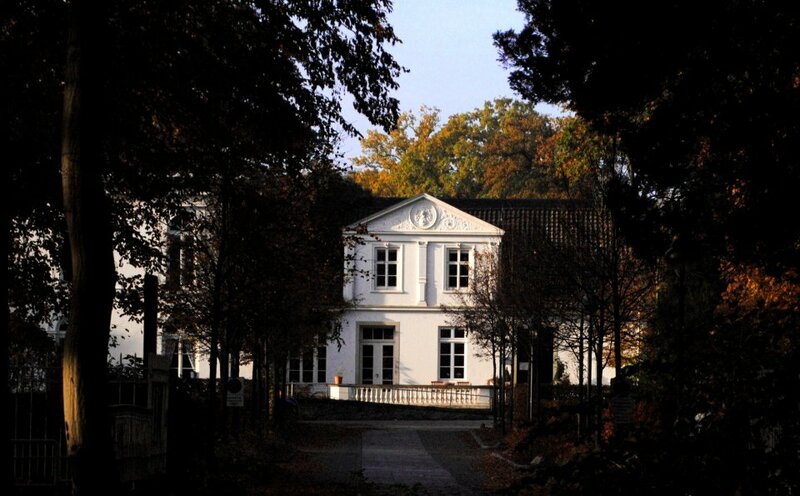 What makes this course so special is that it’s connected to the "Arboretums", a collection of trees in Oberneuland, which means you can experience golfing beneath magnificent, 100-year-old trees. 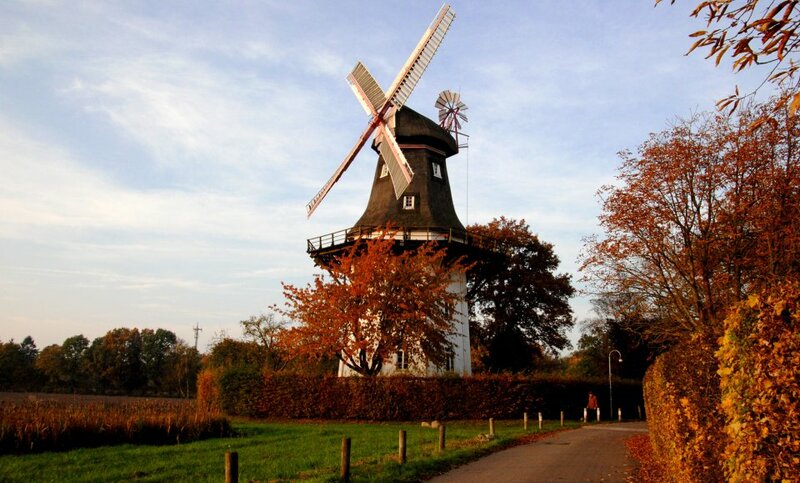 By 1848, the windmill locally known as the Holländermühle (Holland Windmill) in the heart of Oberneuland, was already standing. Still functioning, the listed building has become a symbol of the neighbourhood. Mühle Oberneuland is Station 43 on Lower Saxony’s Mühlenstraße (Windmill Street) and serves as an outpost of the Focke-Museum with its permanent exhibition "Von Brot zum Korn" (From Bread to Grain). 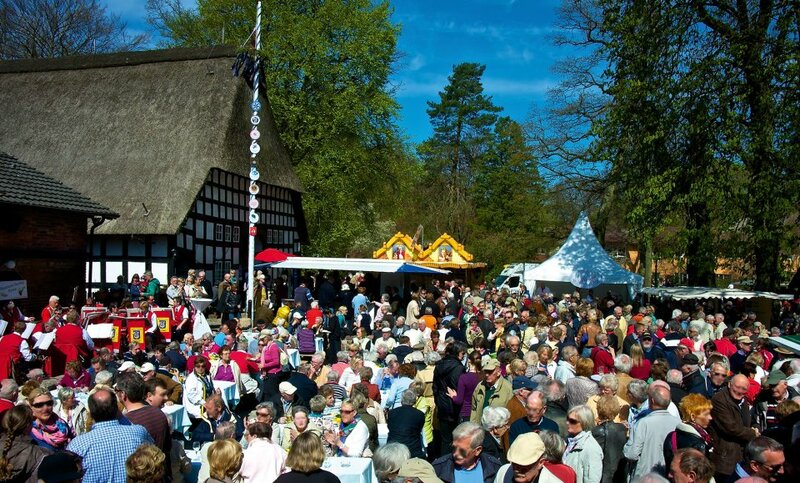 The Lür-Kropp-Hof not only creates a picturesque impression in the middle of the spacious park grounds, it also holds regular events - from a May-Day festival to a Christmas market - providing plenty of opportunities for people to come together and enjoy themselves. Of special interest for the littlest visitors are the playgrounds throughout the park as well as the Bee Exhibition Stand. You can rent the over 200-year-old building for events such as birthdays, receptions, and weddings. Apropos weddings: As of April 2001, you can have a civil wedding ceremony in the Meta-Rödiger-Hochzeitshaus on the park grounds. 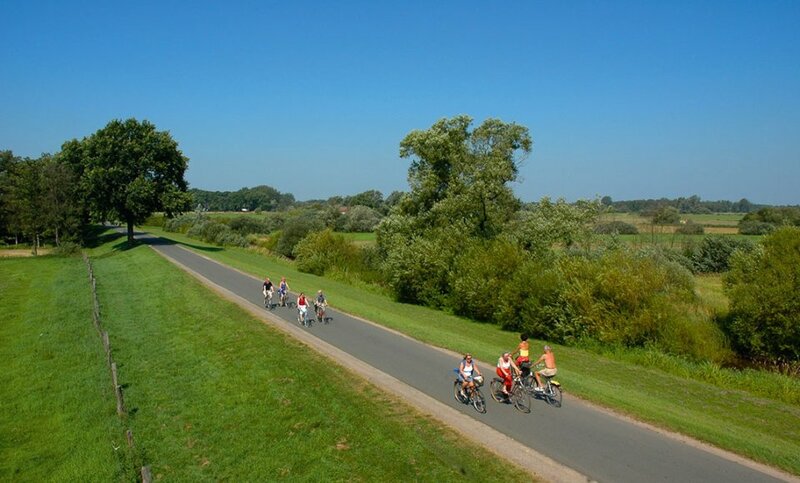 The neighbourhoods of Oberneuland and Borgfeld together share the area of "Borgfelder Wümmewiesen", the largest nature reserve in Bremen. The Holler Dyke and Hodenberger Dyke in Oberneuland stretch out along the Wümme Meadows allowing for wonderful, long walks. If the water is not too high, a 40-kilometre detour takes you into the Künstlerdorf Fischerhude (artists’ colony of Fischerhude). 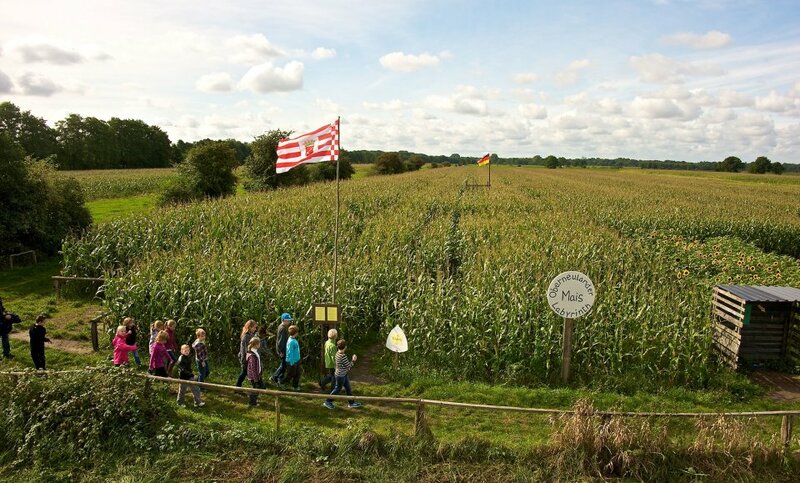 Every year, the Drewes Family on Hollerdeich delights - most especially its littlest guests - with a labyrinth of corn. Best reached by bicycle, courageous scouts spend about 30 minutes here searching for the way out of the sea of plants. Every year, along the path are puzzles to solve which impart information about farm work. The observatory platform next to the corn maze gives you a wonderful view of the surrounding Wümme Meadowlands. 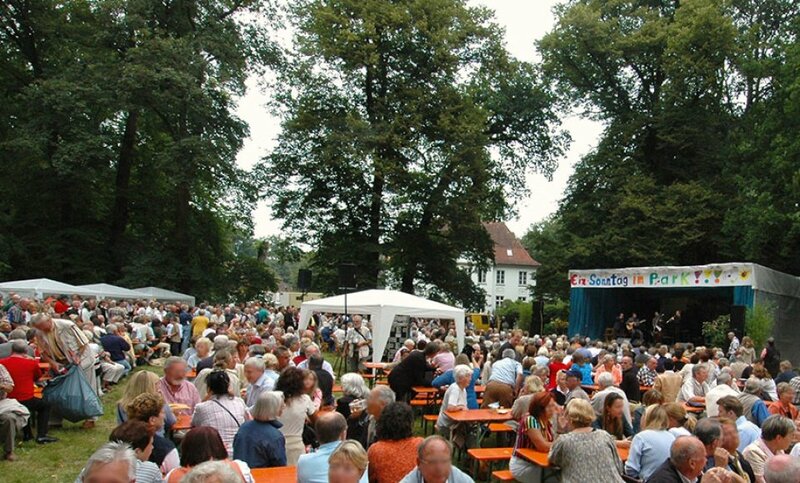 Every two years, you can enjoy a summer with a "Ein Sonntag im Park" (A Sunday in the Park) festival in Oberneuland. In the atmospheric scenery of the park grounds of Hohenkamp, Oberneulanders and Bremeners get together to enjoy a multi-generational cultural programme. Sonntag im Park is organised by the Förderkreis Overnigelant and the German Red Cross, which has a residential facility on the park grounds. When the summer heats up in Bremen, the Oberneulanders don’t have far to go to cool off. 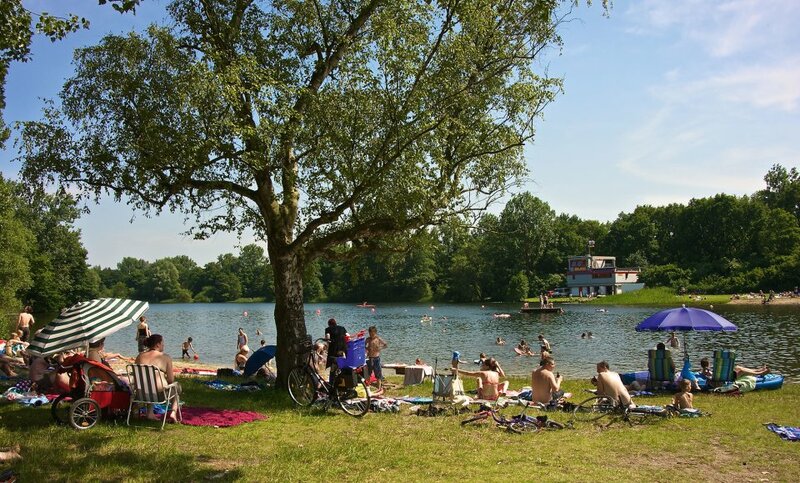 Abutting the Golf-Club Oberneuland is the Achterdieksee, a lake with DLRG life-guards, good water quality, a sandy beach, comfortable lawns to relax on, a playground, and more. Even if it’s not bathing weather, the Achterdieksee is great spot for a lovely walk. 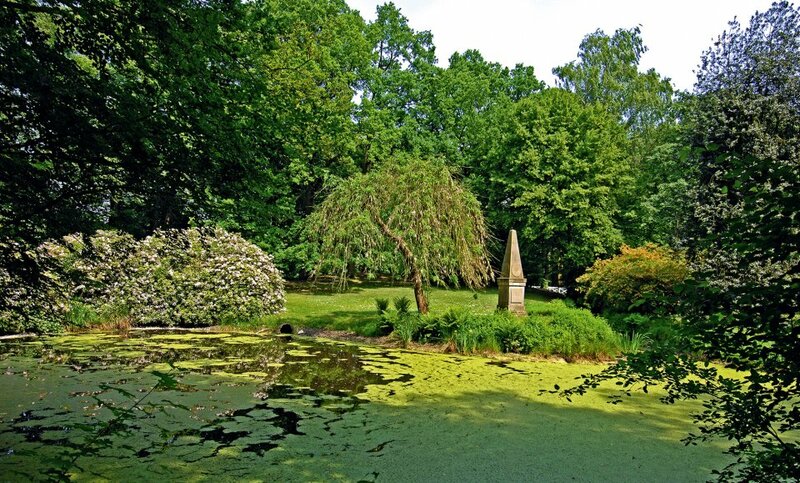 Whether Gut Hodenberg, Heinekens Park, Höpkens Ruh or Muhles Park - Oberneuland’s numerous parks make it one of the greenest neighbourhoods in Bremen. The old trees stocks and the rare plants - brought back to Bremen by returning sea captains - are certainly impressive, especially at Höpkens Ruh and Muhles Park. Situated next to each other, both parks have the street "Auf der alten Weide", which leads you directly to the Wümme Meadowlands, running through them. 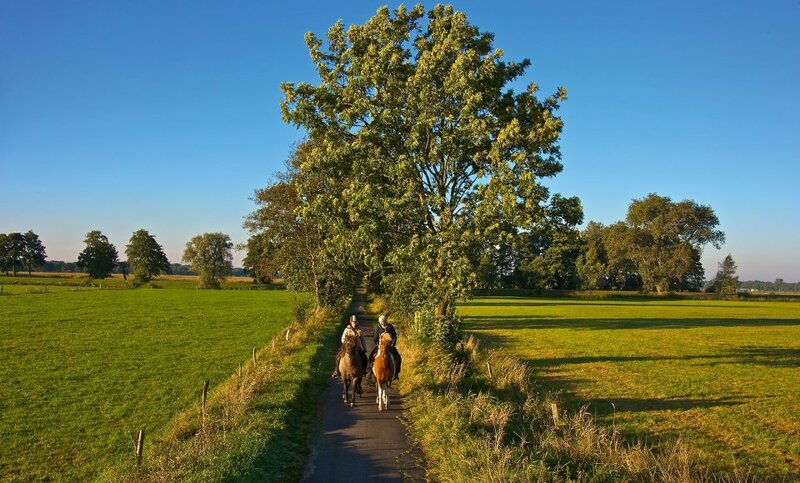 Whether the traveling circus, the puppet theatre, a horse show, or the Oldtimer-Erlebnis, events of every kind take place in Oberneuland, often at what the locals call the "Dicken Eiche" (Big Oak Tree). A relic from the period when Oberneuland was settled, it marks the festival grounds of the neighbourhood at the eastern end of the Rockwinkeler Heerstraße. If you’d like to get to the “Dicke Eiche” with public transport, take the number 33 or 34 bus. Both lines leave from the Horner Kirche (Church), drive in the direction of Oberneuland, and terminate at Sebaldsbrück. The difference: Although the 33 and 34 drive the same route, between the stops Apfelallee and Mühlenfeldstraße they each go a different way. The 33 travels along the Oberneulander Landstraße, while the 34 goes along the Rockwinkeler Heerstraße.